If a picture is worth a thousand words, this gallery must be worth.. a whole wedding! 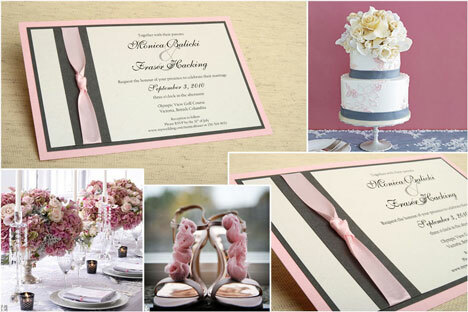 We found it quite by accident, browsing through the superb web-store of Mississauga-based Precious Invitations. (great website by the way: easy, functional, lots of choices and customisation features - very impressive; easily one of the best Canadian wedding invitation websites we've ever seen). Very very impressive! Kudos to Precious Invitations. Take your time (make a cup of tea? ), click the thumbnails above and start making notes :-) Enjoy the weekend!